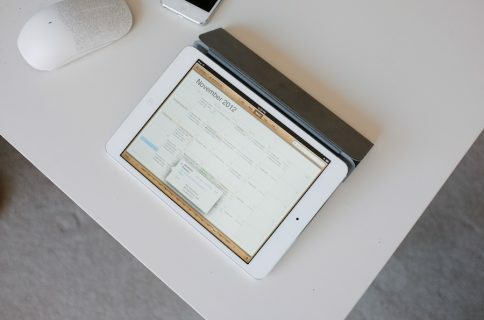 One day after Apple announced selling 19.5 million iPads during the second quarter, new numbers show the tablet dominated online traffic as late as last month. 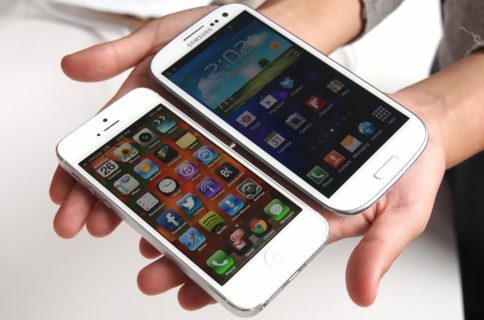 The device held the market in a stranglehold, controlling 81.9 percent of tablet web traffic in the US and Canada, according to an online advertising network. 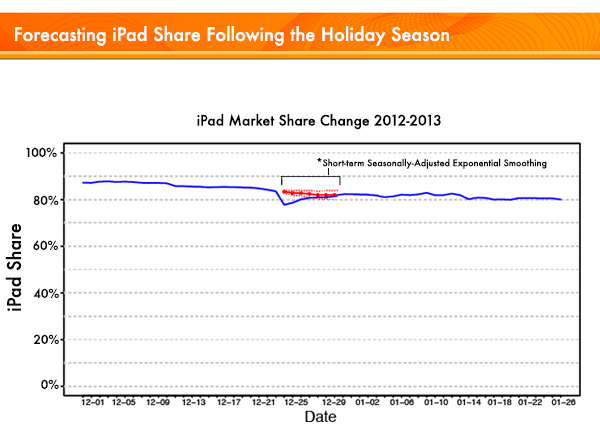 According to the Chitika Ad Network, the 1.4 percent increase is the first month-on-month advance in the iPad’s share of web traffic since December 2012…. 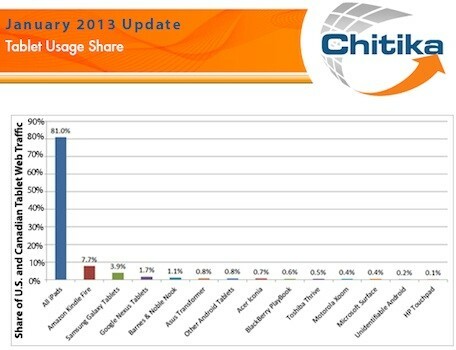 Chitika chalks up the iPad’s gains to Apple sales of refurbished fourth-gen iPads and discounted iPad mini starting in mid-March. 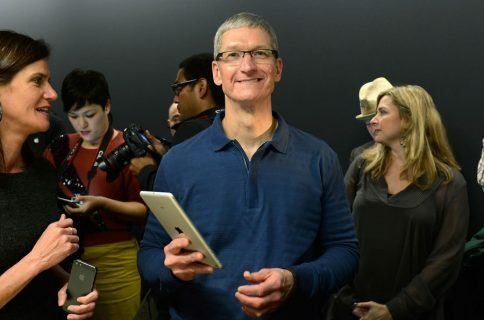 Yesterday, Apple announced it sold 19.5 million iPads during the second quarter, up from 11.8 million sold during the same period in 2012. Amazon’s Kindle Fire was lumped into the Android tablet category, giving Google’s mobile operating system a distant second-place showing with 7.1 percent of tablet ad impressions. The Kindle Fire runs a customized version of Android with the device linking to the Amazon Kindle store. By comparison, Samsung’s Galaxy tablets were third with 4.3 percent of web traffic and Google’s Nexus tablet registered just 1.7 percent of tablets online, according to Chitika. Perhaps most embarrassing was Microsoft’s tablet performance, its Surface owning only 0.4 percent of tablet traffic on the Internet. What’s notable is that the Microsoft device just barely outscored the HP TouchPad, a device no longer sold.